I tried a new set of markers on a red-yellow background. I like the bold lines against the amorphous surroundings. 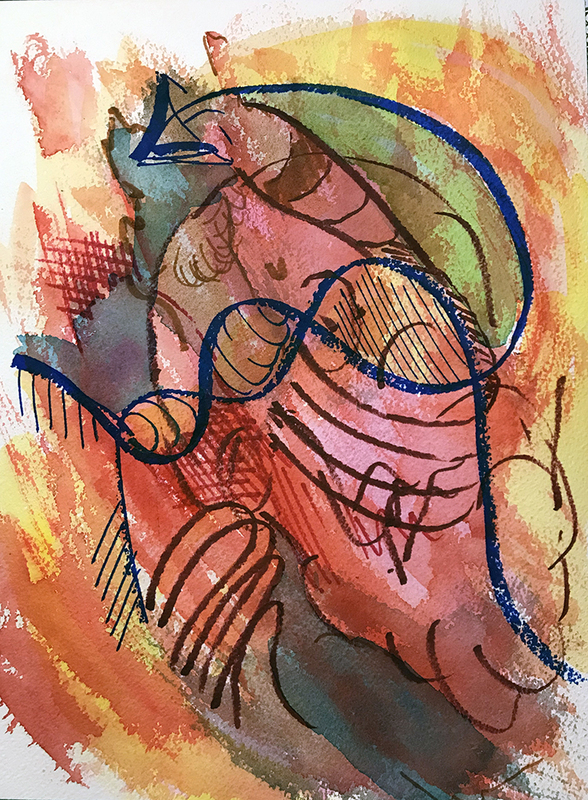 This entry was posted in Personal Stories and tagged abstract art, alcohol markers, art, artistic process, creative process, creativity, glazing, painting, visual arts, watercolor. Bookmark the permalink. I like the boldness. A good direction, I think. I’d like to explore this direction a little more: the amorphous background with bold foreground. Thanks for the encouragement!